It’s been five years since La Roux entered the mainstream and dominated the charts with numerous singles that proved to be timeless compared to traditional flavour of the month hits. Tracks such as In For The Kill showcased frontwoman Elly Jackson’s unique voice and the heavy influence of 80’s synth pop proved to be a winning formula as Quicksand and Bulletproof became worldwide hits, with the latter still receiving radio play these days. Half a decade later and La Roux is back as a solo artist, with the departing Ben Langmaid leaving Elly back to square one, faced with the challenge of succeeding as a solo artist on a much anticipated follow up album. Opening track Uptight Downtown reveals a much warmer, lush sound compared to the cold synth sounds of La Roux. Synths are used to create bright, vibrant instrumentations accompanied with additional counterparts in horns and percussion to help fill the space of Langmaid’s exit as much as possible. This track features so many beats, hooks and grooves to signify La Roux’s ability to deliver fantastic, original material. Kiss And Not Tell also follows suit by delivering many memorable moments that will definitely help ease La Roux back into the limelight. Obviously nothing will reach the success of Bulletproof but at least we haven’t had another case of the sophomore blues. Paradise Is You is a beautiful track with a real emphasis on the paradise feeling as the instrumental lightly performs warm piano chords and synths that portray the breeze on a sunny day. The vocals sink into the music while Elly talks about a certain someone being paradise, my heaven is you. It’s a heartfelt song that adds a little touch of emotion to the overall feeling of the record. Listening to Elly Jackson basically sing her feelings amongst the context of knowing something went wrong makes this all seem a little bit sadder. 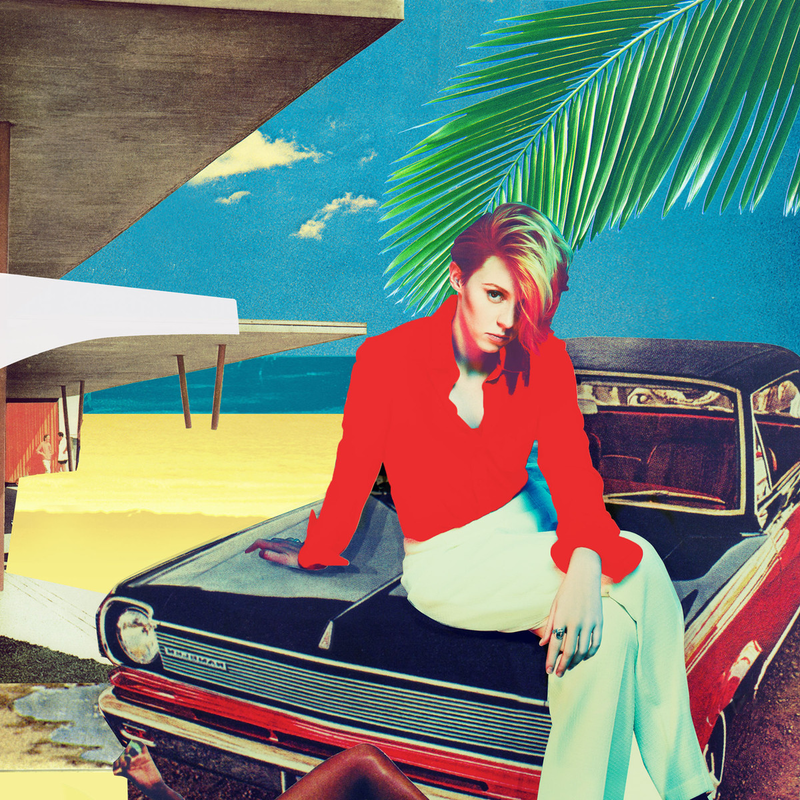 Trouble In Paradise is a ridiculously good return to music from La Roux. While as mentioned previously the singles won’t reach the worldwide explosion as other singles it does help make this new record one of the most consistent albums of the year. Each of the nine songs contain grooves that bare a huge 80s influence once again, but with La Roux’s vocals turns them into modern, timeless hits. Stream the record below, and for more music reviews, free downloads and a return of nostalgic goodness check out Exploding Head Syndrome on Facebook and Twitter.